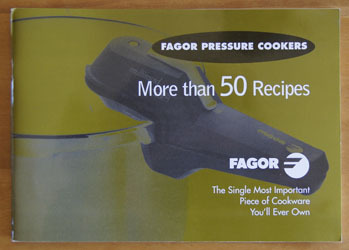 Cookbook #162: Fagor Pressure Cookers, More than 50 Recipes, Fagor America, Inc., Lyndhurst, NJ., publication date not given. Fagor Pressure Cookers, More than 50 Recipes is the instruction/recipe booklet that came with the stove-top pressure cooker that I bought sometime in the 2000s. This cooker has one pressure lid that covers two sizes of nice, heavy pots. 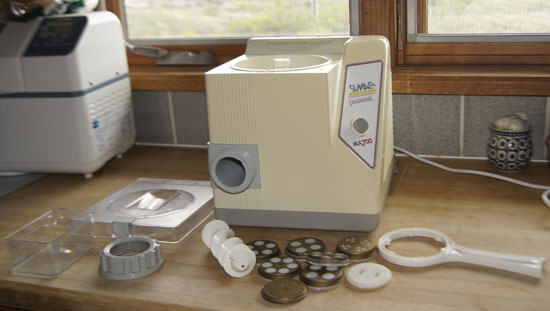 I bought it as a replacement for my old broken pressure cooker. Somehow I quickly broke this pressure cooker too! I ruined the gasket and/or pressure regulator, and the replacements I ordered did not fit. 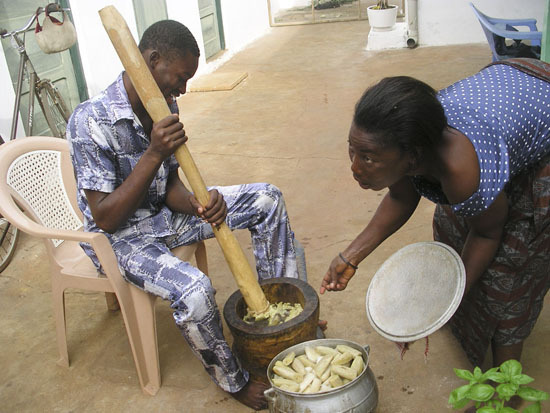 (Unusable as a pressure cooker, the pots as still usable as cooking pots.) A couple years ago, I bought an electric pressure cooker that works great. 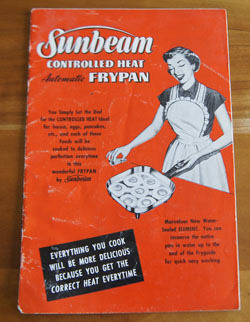 So, I can still use the recipes in this booklet, I’ll just have to adapt them to my new electric cooker. Shall I keep this cookbook? It has “More than 50 recipes”. 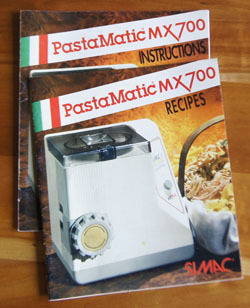 Let’s see if this booklet has enough good recipes to warrant saving. The first recipe is for tomato sauce for pasta, with carrots, celery, garlic, 3 cups canned tomatoes, herbs, and wine. 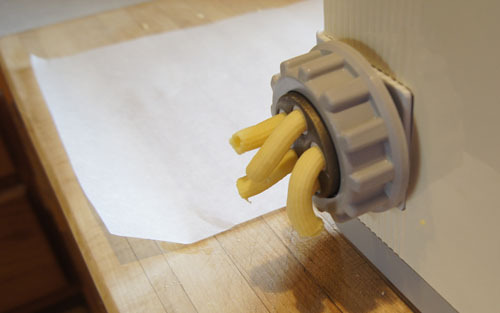 Hey, this is pretty much how I make stove-top sauce! But in a pressure cooker it only takes 10 minutes, not an an hour or two stove-top simmer. Maybe I’ll try that next time. I like the “German Potato Salad” with just 2 minutes cooking time! “Country Style Potatoes”, with mushrooms and onions, take only 3 minutes. 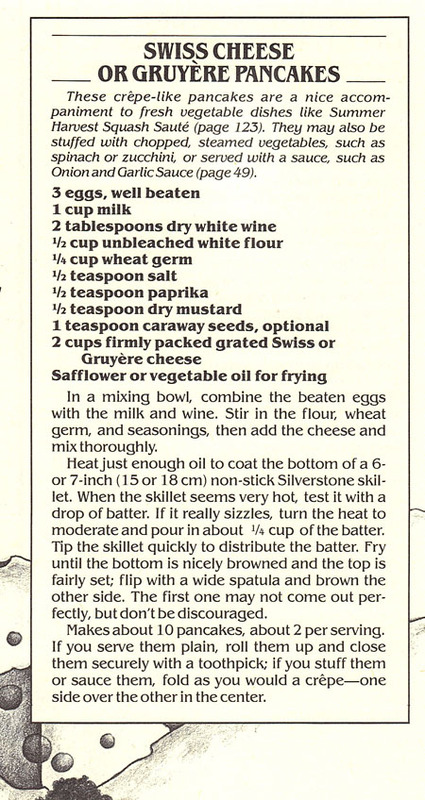 This recipe for potatoes would go well with the grilled meat I have planned for dinner. “Everyone’s Favorite Meatball Stew” sounds good to me – given my love of meatballs in general. I have a Cornish hen in the freezer, so I might try the “Oriental-Style Cornish Hen” or “Cornish Hens Braised in White Wine”. 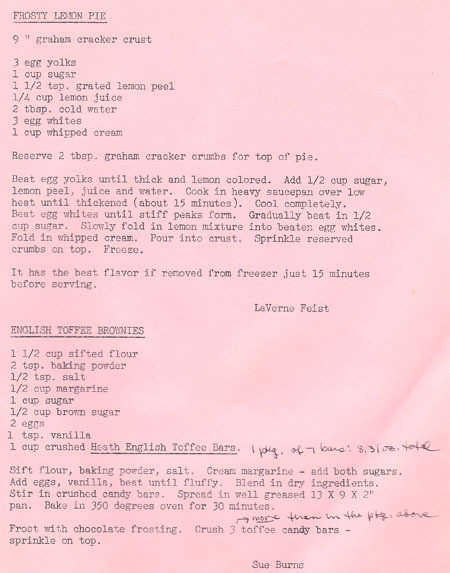 “Mom’s Rice Pudding” would be a homey dessert. But that’s it. 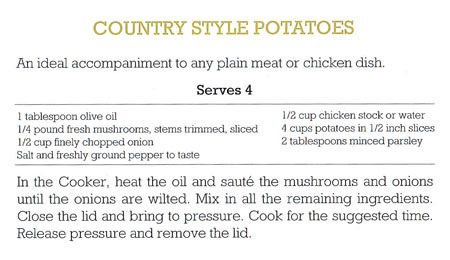 I decide to make the Country Style Potatoes for dinner, scan copies of the other recipes, and recycle this booklet. It has served it’s purpose! 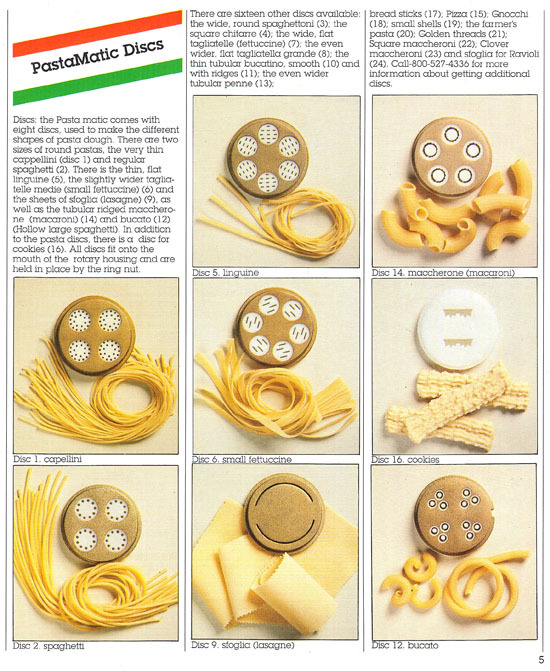 The “suggested time” in the above recipe is indicated by a little chart below each recipe. I perused the instruction pages of the booklet and figured out that I should set my current pressure cooker to “high”. Saute the mushrooms and onions in the pressure cooker (my cooker has a “saute” setting). Add the potatotes, water, parsley, and salt and pepper. 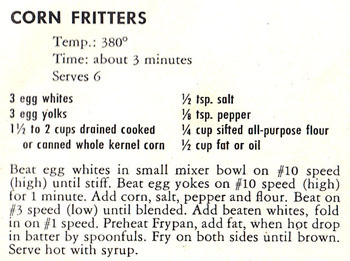 Close the lid and set to “high pressure” and set the timer for “3 minutes”. When the timer beeps, quick-release the pressure. These were very good! And so fast and simple. I have to remember that it’s often worth the effort to carry the pressure cooker up from the basement. It really is time-saving, and clean-up is easy. 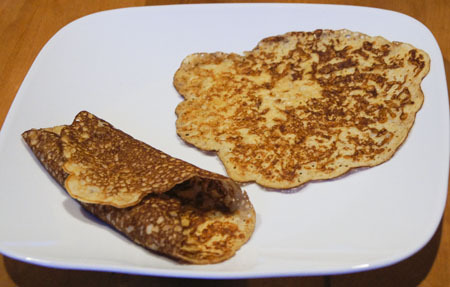 I will make these again! 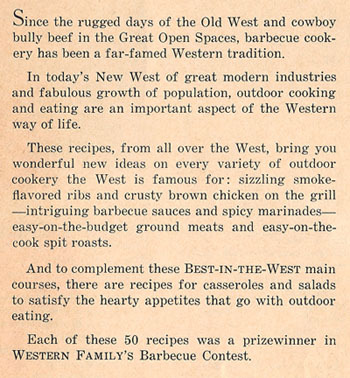 Cookbook #159: Best in the West Barbecue Recipes, Western Family, Inc., August 1958. What or who is or was “Western Family”, the publisher of this book? 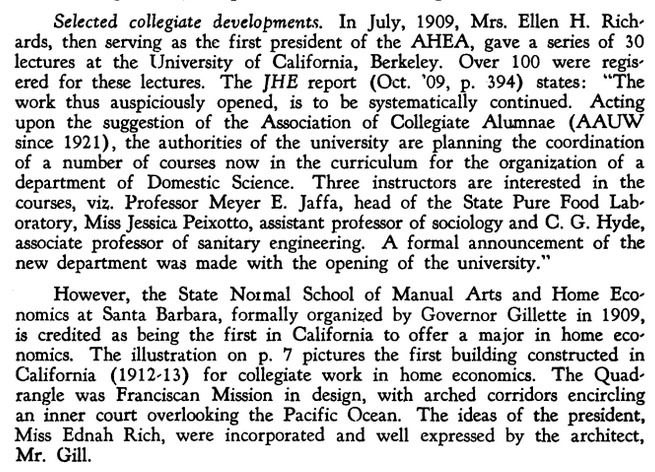 I found that it was a 1950s magazine about life in the western US. A few vintage issues are available through eBay and Amazon and other sources. 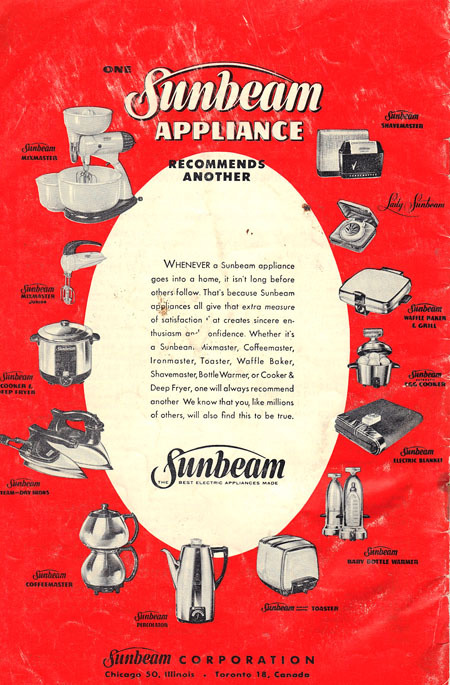 If you google “Western Family Magazine 1958” you will be rewarded with the cover art of several issues – I’d copy some in here but don’t feel comfortable because of copyright issues. 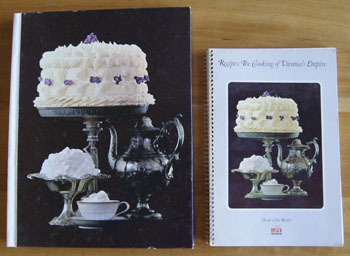 I am surprised how much I like the recipes in this dated booklet! Many of them sound pretty good; albeit the instructions are often quite brief: “Pour the marinade over the ribs and marinate for at least one hour. 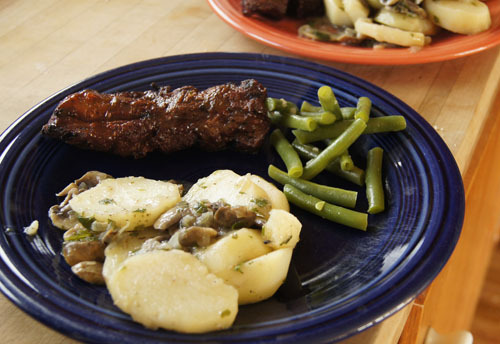 Grill ribs over charcoal for 45-60 minutes, or until done, turning frequently and brushing with sauce.” Each recipe includes the name of the contributor, usually a “Mrs.” from a western state. 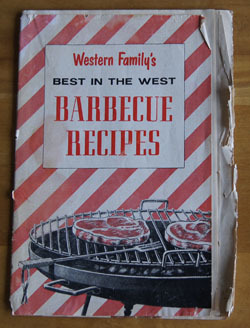 Note the barbecue grill in the photo of the cover of this cookbook (top of this page). That’s the kind of barbecue I grew up with. It was fairly flat and you spread the charcoal in a single layer and cooked on the grill right above the charcoal. I’m not even sure it had a cover. Simple but functional. This all certainly brings back the sunny times in California in the 1950s: sitting on the wooden table and benches in the tree-shaded patio right off our kitchen, charcoal fire started, family friends gathering for a meal together, adults laughing with their cocktails, us kids being kids. It was a great place to grow up. I haven’t cooked bone-in chicken pieces on a grill in ages. 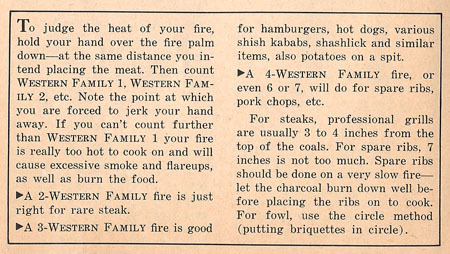 Below are the instructions given in this booklet for an old-style charcoal grill. 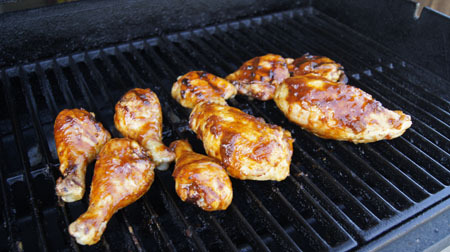 What I like about the recipe for Just Right Barbecue Chicken is the included barbecue sauce. I made a few minor changes in the sauce recipe (more spices, less salt, chile sauce for “chili pepper catsup”) and to adapt the grilling instructions for my covered gas grill, I consulted my Weber Real Grilling cookbook. All changes are incorporated below. 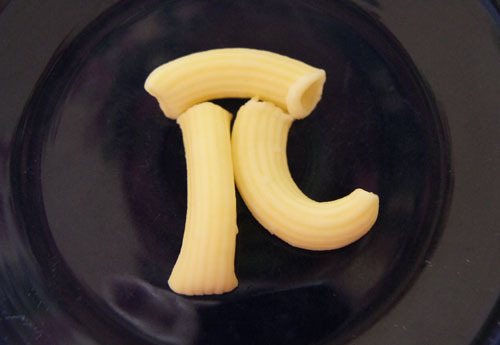 serves 2 – with leftovers! Combine the sauce ingredients (1/2 cup brown sugar through the 1/3 cup vegetable oil) and simmer about 30 minutes. This makes enough for two chickens; I used less chicken so I had leftover sauce. Note: this sauce is not as thick as most modern barbecue sauces, but it works great. Heat a gas grill on high until it’s good and hot, then turn off all but one burner. You want the temperature to be “medium” – I aim for 325-350˚ on the gas grill gauge. This chicken was really good! I will definitely grill chicken this way again. The sauce was perfect, and the chicken was juicy. It was just as good cold the next day! 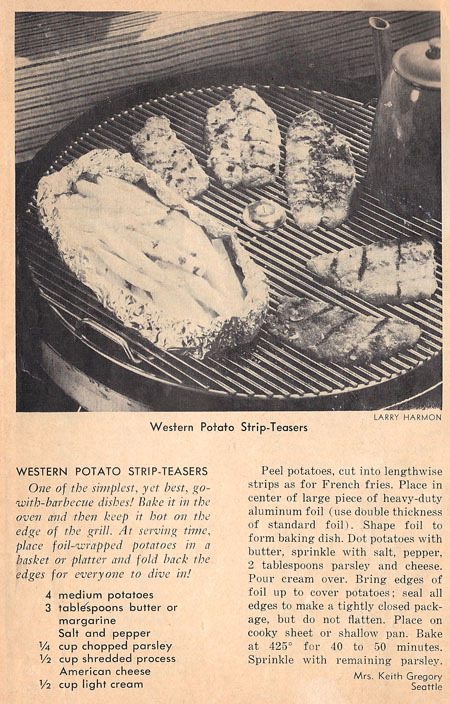 To go with the chicken, I made “Western Potato Strip-Teasers”. These potatoes are baked in foil the oven, and kept hot on the edge of the grill as the main dish is cooked. I made the potatoes pretty much as they said, except I used milk instead of cream and cheddar cheese instead of process American cheese. Take a piece of heavy-duty aluminum foil and shape it to form a baking dish. Peel the potatoes and cut lengthwise strips as for French fries. Place in the aluminum foil baking dish. Dot the potatoes with butter, sprinkle with salt and pepper and cheese and 1 tablespoon of the parsley. Pour the milk over the mixture. 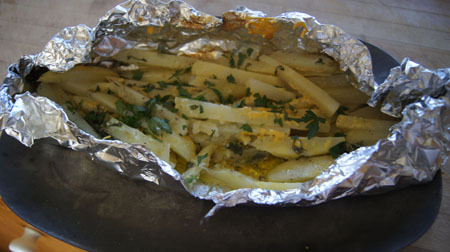 Bring the edges of the foil up to cover the potatoes; seal alll edges to make a closed package (but do not flatten). Place it on a cookie sheet to make it easier to slip in and out of the oven. Bake at 425˚ for 40-50 minutes, until the potatoes are done. Sprinkle with remaining parsley. If you like, you can take the foil package outside to your grill and keep the potatoes warm until dinner is ready. We both really liked these. I wanted “more!” I even ate some of the leftovers cold from the refrigerator the next day. And clean-up was really easy! 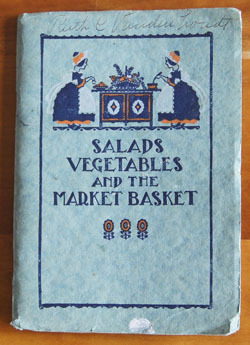 And what am I going to do with this little cookbook? 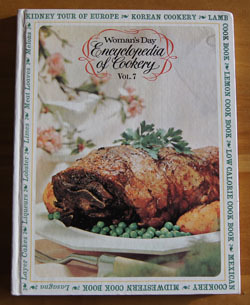 I’m going to put it with my “old cookbooks” for the nostalgia. And maybe to cook another good old recipe sometime! 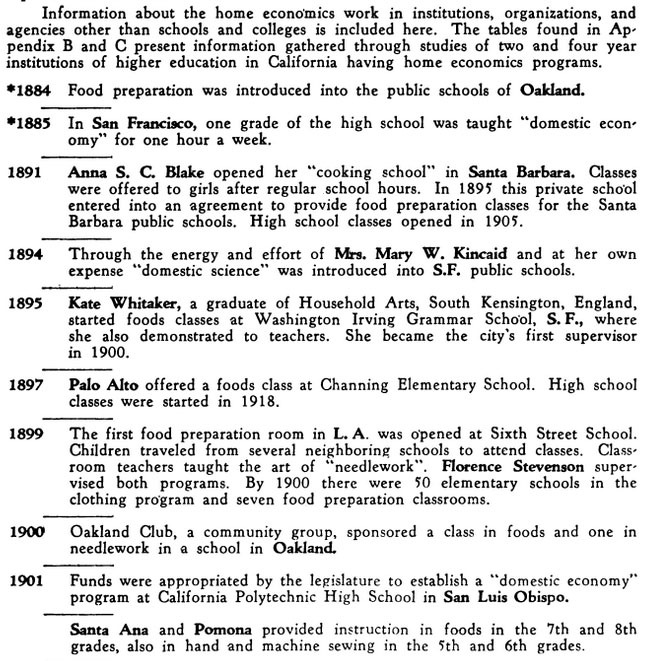 Cookbook #151: Carousel of Cultures Cookbook, Woodbury 1975-76, The Multicultural Committee, Woodbury Elementary School, Garden Grove, California, 1976. I just returned from a fun visit to my sister’s lovely home in Southern California, so when my hand reached for this cookbook on the shelf yesterday, I smiled. 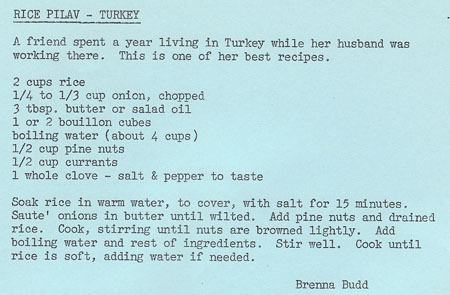 My sister taught at Woodbury Elementary School and she gave me this cookbook way back when. In it are handwritten notes for me. I’m keeping this cookbook! 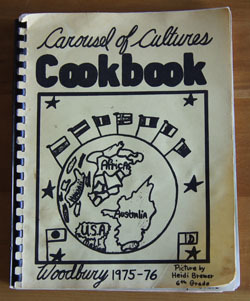 Carousel of Cultures Cookbook is a “community” cookbook, similar to my Lyons Elementary Cookbook. Teachers and parents at Woodbury Elementary contributed all of the recipes. 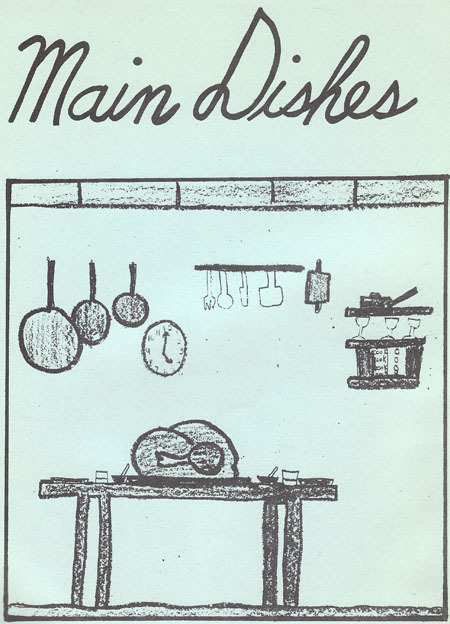 The introduction reads: “This cookbook is our way of sharing the different ways food is enjoyed in the many cultures of our community.” Each section is illustrated with a drawing by one of the students. 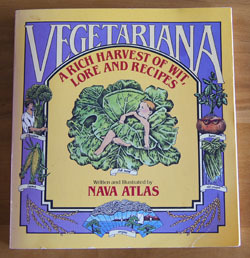 I was surprised at how many recipes I’d like to try from this cookbook: a Greek lamb dish, French seafood crepes, sauerbraten, rice and bread puddings, fig nut bread, Greek nut cake, and one or all of the raw apple cakes. 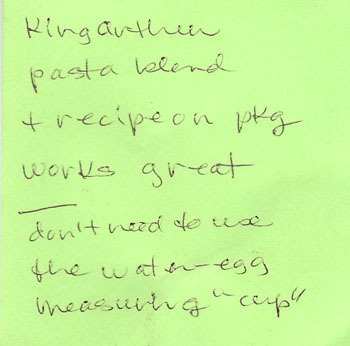 Spinach Salad, with notes from my sister, is a classic potluck dish that is worth saving. I like the almond cookies for a Chinese meal. My sister contributed a recipe for English Toffee Brownies and my mother contributed Frosty Lemon Pie. My sister’s mother-in-law contributed Chocolate Nut Balls. We traveled to Turkey a couple years ago and thoroughly enjoyed the food (and the trip!). We often had rice like this rice pilav on that trip. Cover the rice and salt with hot tap water (this is not the boiling water indicated in the ingredient list). Let soak about 15 minutes, then drain. Melt the butter and add the chopped onion; cook until the onion wilts. 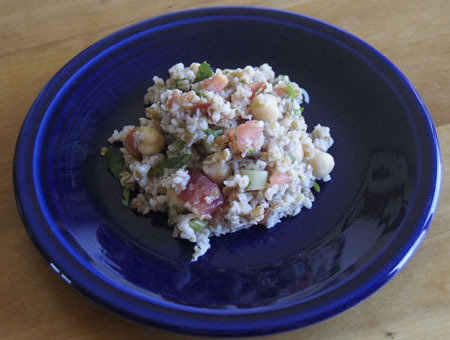 Add the pine nuts and the drained rice; cook and stir until the pine nuts are lightly browned. Add the boiling water/bouillon OR water/stock mixture, currants, clove, and salt and pepper. Cover and cook until the rice is soft, adding more water if necessary. 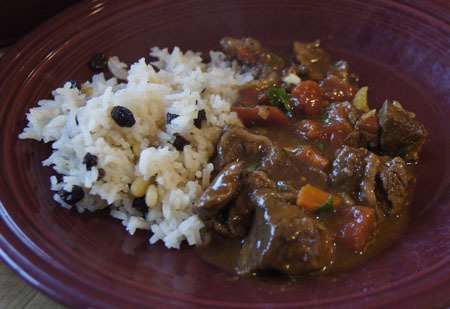 I served this with my own Lamb Stew with Cinnamon and it was delicious! Perfect combination of flavors. Cookbook #150: Encyclopedia of Cookery, Vol. 7, Kid-Moc, Woman’s Day, Fawcett Publications, NY, 1966. 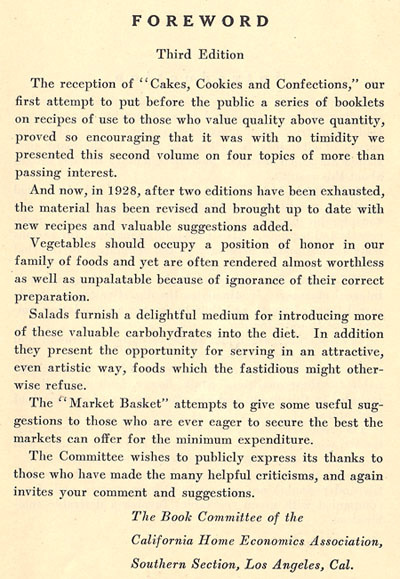 I have a set of twelve Encyclopedia of Cookery volumes and this is the seventh of that set – I covered the first six in previous posts. 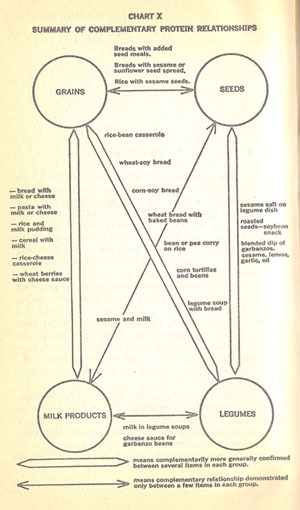 I’ve enjoyed all of them so far, and I happily open this one to learn curious and helpful information about foods from kid(ney) to moc(ha). The entry for kidney begins with a story by of a woman who traveled through Europe with her kidney-loving husband. He believed the worth of a restaurant is revealed by how well they cook this organ meat. Well, I’m not a fan of kidneys as food. 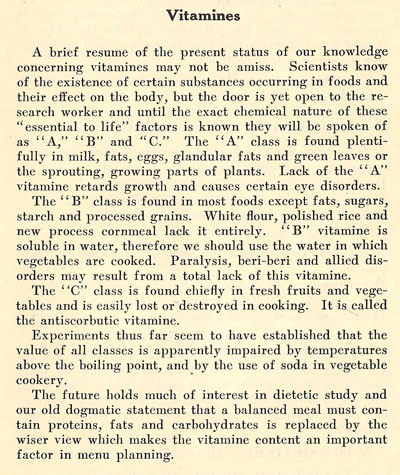 I used to eat this meat because some health food authors of the day touted its nutritional value (like Adele Davis). 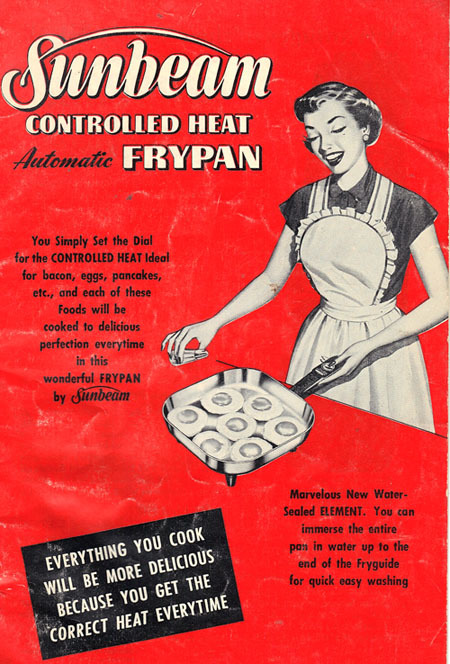 I gave up that idea long ago, although I used to make a decent “Steak and Kidney Pie”. 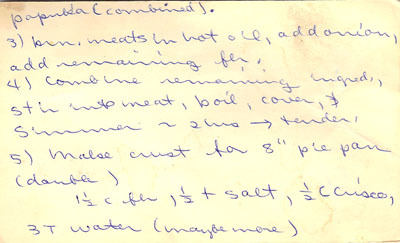 Below is my own recipe card, written sometime in the 1970s. The next entry that catches my eye is “kiss”. The Encyclopedia defines a kiss as “a small chewy mound-shape confection prepared with egg white and sugar”. A kiss also refers to a bite-size piece of candy, including commercially producte chocolate, usually wrapped in paper or foil. Yup, Hershey’s Kisses™! One of my husband’s favorite meals is knackwursts (or knockwursts). He likes them served with sauerkraut and mustard. According to the Encyclopedia, “The name is of German origin, knack meaning ‘to crackle’ or ‘to make a noise when breaking’, and wurst means sausage”. Knockwursts are made from a recipe similar to hot dogs, except they have more garlic and are a lot bigger. Sadly, I’ve only rarely been able to find these in local markets since the 1970s. I am not surprised that my mother lingered on the “layer cake” section. She tried the “Orange Gold Layer Cake” and declared it “delicious”. This is a cake with 8 egg yolks, orange juice, and orange rind in the batter, and a butter frosting made with orange juice, lemon, butter, egg yolk, and powdered sugar. Sounds good, and rich. Lebkuchen (a spicecake of Germa origin and one of the oldest of cakes) and Lemon Cookbook. Lentils are one of the first plants whose seeds were used for food. 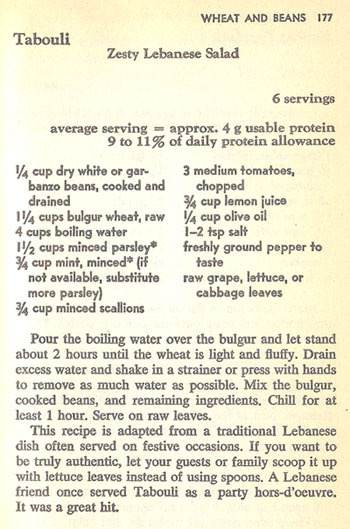 “The lentil is extremely nutritious and is one of the staple foods of the Near East, where a dish called ‘Esau’s Dish of Lentils’ is still a favorite.” The story goes that Esau sold his birthright for bread and a “pottage of lentiles”. 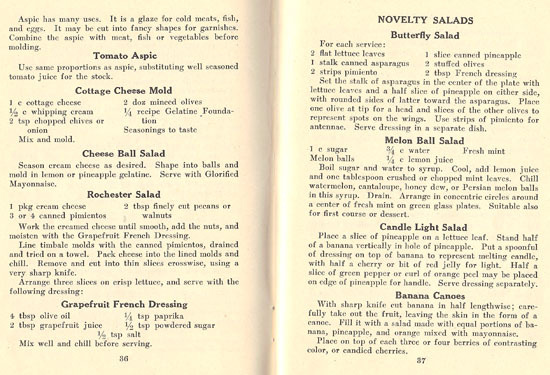 Mother liked the “Basic Meat Loaf” on page 1125. I like the meat balls! 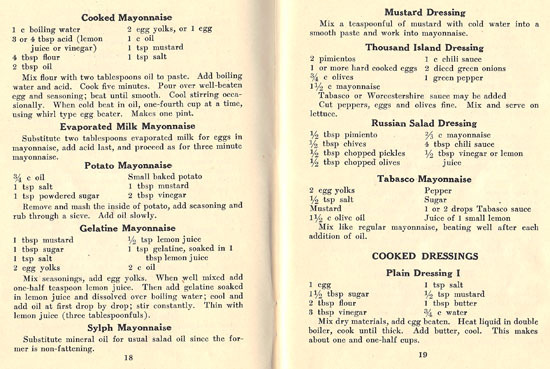 This volume has a section on Midwestern Cookery that kind of intrigues me. 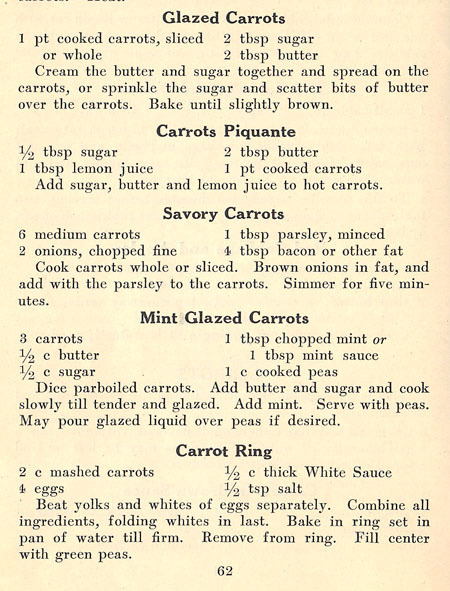 Mirepoix is the culinary term for a concentrate of diced carrot, onion, and celery cooked in butter – I use this mixture of vegetables a lot to begin sauces, now I have a fancy name for it. Mincemeat pies were a family tradition when I was a little girl. 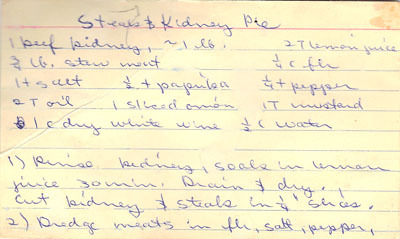 Those pies began with purchased mincemeat; this book has an 18th-century recipe for mincemeat from ground beef, apples, candied lemon and orange peels, citron, raisins, currants, orange and lemon juice and rind, beef suet, brown sugar, allspice, cinnamon, cloves, coriander, mace, nutmeg, bourbon, and rum. The last entry is mocha. We know this as a mixture of chocolate and coffee, but it originally referred to a kind of coffee grown in the Yemen district of Arabia and exported from the port of Mocha on the Red Sea. 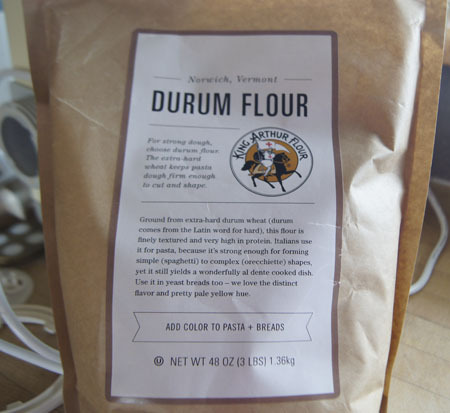 And what shall I make for this blog? I decide to make “Lentil Salad”. 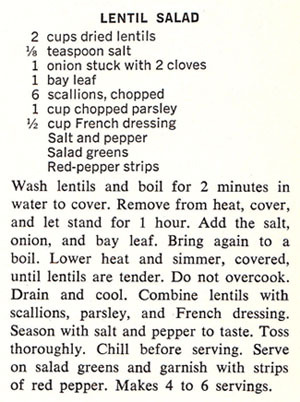 I’ve cooked lentils before, but not very often. I think this salad sounds tasty and fresh, and nutritious! Wash the lentils, then put in a pot with the salt; cover with water and boil 2 minutes. Remove from heat, cover with a lid, and let stand for about an hour. Add the onion and bay leaf and bring again to a boil. Lower heat and simmer, covered, until the lentils are tender, about 15-20 minutes. Check often – do not overcook! You want them tender but not mushy. Drain the lentils (I used a strainer). 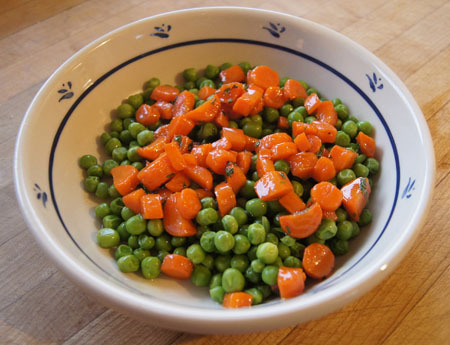 Place them in a bowl and add the green onions, parsley, and French dressing. Season iwth salt and pepper. Serve chilled or at room temperature. If desired, plate over salad greens and garnish with strips of red pepper. 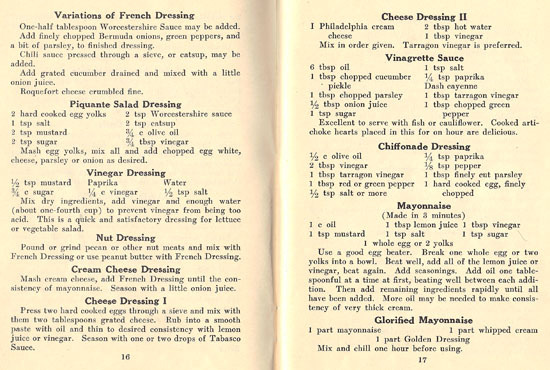 *Keeping on the alphabetical theme of Kid-Moc, I used the Lemon French Dressing from page 1053 of this cookbook. 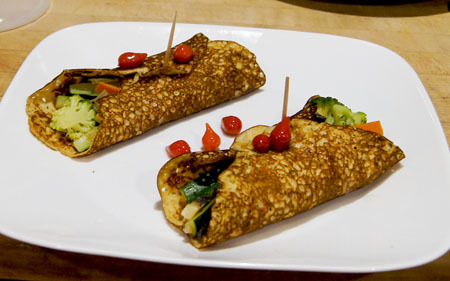 Briefly, shake together 1/2 cup fresh lemon juice, 1 1/2 cups vegetable oil, 1 teaspoon dry mustard, 1 teaspoon paprika, a dash of cayenne, 1/2 teaspoon salt, and 1/4 teaspoon pepper. 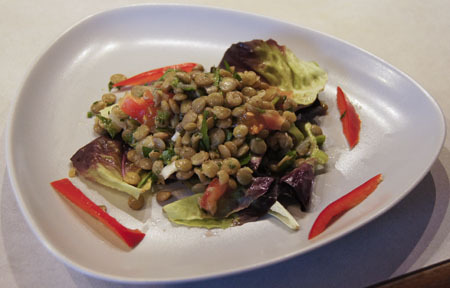 I served the lentil salad alongside grilled lamb (keeping with the “L” theme!). Even my dining partner liked it! Not something I could serve every day, but it’s a good salad and nice to have in my repertoire. I liked the cooking method for the lentils because it didn’t get them too done. Note that I left the cloves out and used chopped onion, changes from the original recipe. This basic lentil salad could be varied tons of ways with different seasonings, vegetable additions, and dressings. Cookbook #131: Cooking of Vienna’s Empire, Joseph Wechsberg and the Editors of Time-Life Books, Alexandria, Virginia, 1968, 1974, reprinted 1977. Foods of the World series. I looked forward to discovering another interesting author as I opened this cookbook, as I had discovered M. F. K. Fisher in the Cooking of Provinvial France and Emily Hahn in the Cooking of China. I wasn’t disappointed! Joseph Wechsberg was born in Czechoslovakia in 1907. He took up the violin at age 7, studied music, and then law, worked as a musician on French ocean liners, played violin in Paris night clubs, was a reporter for a newspaper in Prague, and commanded a machine gun company on the Polish frontier. In 1938 he came to the US as a representative of the Czechoslovakian government; after the war broke out, he claimed assylum in the US and remained here until the 1970s. He passed away in Vienna in 1983. 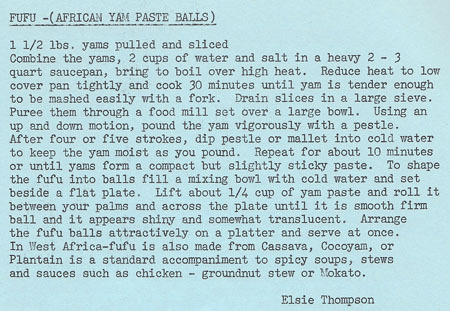 Happily, I have discovered another interesting culinary writer of the twentieth century. I plan to look up a few of his books. In the meantime, I am enjoy reading The Cooking of Vienna’s Empire. It is called a “coffee table book” (can’t help but think of Kramer of Seinfeld fame!). Alongside full page color photographs, Wechsberg describes the cooking of the Old Empire, Austria, Hungary, Czechoslovakia, and Yugoslavia (note the names/borders of these countries have changed). A whole chapter is devoted to the “Pastry Paradise”. 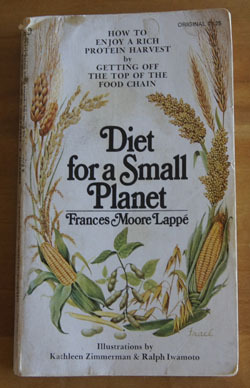 Searching for a recipe to cook for this blog, I know I would love to cook just about any recipe from this book – but they are pretty heavily laden with cream and butter and dumplings and sausages and . . . calories. Some recipes include fish or game that is not available here. I know that cooking and seasoning onions properly is the basis of a lot of dishes that I make, and I enjoy the process. 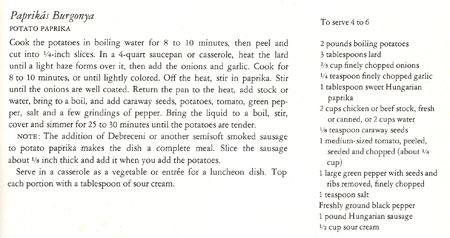 I am interested in following this cookbook’s suggestions on preparing an onion-lard-paprika dish, so I choose to cook “Potato Paprika” for this blog. I made this pretty much as the recipe above. Heat the lard “until a light haze forms over it”, then add the onions and garlic. Cook over medium heat for 8-10 minutes, or until lightly colored. Off the heat, stir in the paprika. Stir until the onions are well coated. Return the pan to the heat, add 1 cup of stock (or water), and bring to a boil. Add the caraway seeds, potatoes, tomato, green pepper, salt, and a few grinds of black pepper. Simmer about 30 minutes, or until the potatoes are tender and the liquid evaporated. 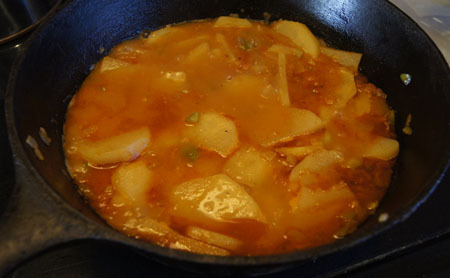 If the liquid evaporates before the potatoes are done, add more stock or water as necessary. Here is my Potato Paprika, during the cooking. By the time I served this dish, most of the liquid had evaporated. These were good. To me, they had a hint of Middle Eastern flavors. I had a problem with my potatoes, since I chose big russets and the initial 10-minute cooking left them raw in the middle (as in, very hard). I had to cook my Potatoes Paprika a long time, almost an hour. I have changed my version of the recipe to reflect this suggestion. Would I make these again? Yes. 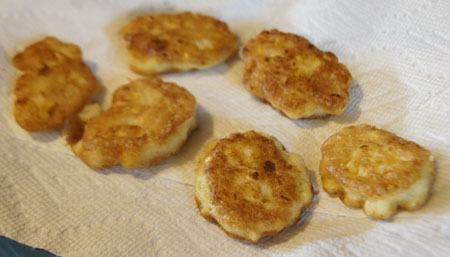 They are very flavorful and different from all my other recipes for potatoes. And I think they would be really good with sausages added, as the original recipe suggests.